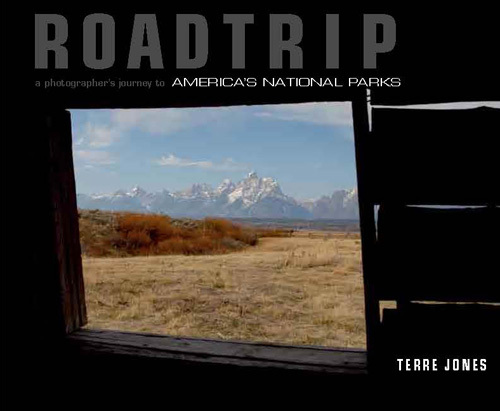 Michael McGarrity, New York Times Bestselling Author: Terre’s Jones’s Roadtrip takes us on a stunning and memorable photographic journey to some of America’s greatest natural treasures. It is a wonderful book. It takes patience and perserverance mixed with uncommon skill and talent, and a practiced eye, to assemble a photographic collection such as the one Terre Jones has given us in this noble look at our National Parks heritage. Such books belong on the same coffee table as Audubon, Ansel Adams and Thomas Moran, where they can help us reflect on all that has been, and still is, good and great in America. Marvin Hamlisch, Composer, Conductor, Pulitzer Prize, Grammy, Tony, Oscar, Golden Globe and Emmy Award Winner: Terre’s very personal photographic journey to America’s National Parks can be enjoyed at the visual equivalent to the Great American Songbook - works to which you are drawn, over and over again. He has created one singular sensation! William Dunlap, Visual Artist: Terre Jones has done it twice now! First when he made our treasured National Parks come alive on the stage of Wolf Trap National Park for the Performing Arts, and now in the pages of Roadtrip. With a vision that stretches from seas to shining sea, Terre Jones gives us illuminating, edifying and sustaining photographs of America’s best places. Eyewitnesses with love in their hearts and brinniane in their gaze are the most fertile source for telling story of American Nature - for in the soils and the trees and the rocks and the rivers, our comlex and profound history is held. The unique vistas strewn across the Topography of the Glorious Soils of the USA are navigated by Terrence Jones as he captures light-magic and with his Panoramic skill creates a stunning archetypal series of American murals. Are they paintings? Are they Photos? Are they cracks in our histories? And if so, do these cracks allow us to peer in and shake up our memories and dreams? These are places we have never seen before yet we recognize as the story of American that must be told.